it would have blown up long ago. If stars are not powered by thermonuclear activity then another internal force supports them, or else they don’t require support, in which case the scientists’ gravity calculations are all wrong. I accept the scientists’ gravity calculations, but I also accept that stars are supported by an internal force other than that resulting from thermonuclear activity. It is widely supposed that stars collapse when they have exhausted their supply of nuclear fuel, but it is my claim that stars collapse when they become ‘unplugged’ from their source of electrical energy. There is no evidence that only old stars collapse. That is conjecture promoted as fact to support the speculations of cosmologists. Stars become redundant from time to time when structural changes take place as a galaxy evolves or when a disruption occurs in the Oort Cloud. The flow of electrical current is reduced until the star’s electromagnetic field can no longer support the star against the force of gravity and it collapses. Small stars may well collapse into white dwarfs as orthodoxy maintains. Much larger stars, however, behave quite differently. The collapse of stars having more than a certain mass produces sufficient pressure for thermonuclear fusion in the core of a star to momentarily occur. A supernova is a thermonuclear explosion in space resulting from the gravitational collapse of a massive star that lost its electrical power. If thermonuclear fusion were actually taking place in the core of our Sun, it would explode as well. A minimum mass must be required for a star to be able to form a supernova. If sufficient mass were added to a white dwarf, it could form a supernova as well. Well known physicist Subrahmanyan Chandrasekhar, however, didn’t see things this way. He proposed that a large enough star would shrink to zero size while retaining its mass, meaning it would become a black hole. This was a serious mistake which was to have far-reaching implications for cosmology. Albert Einstein disagreed with Chandrasekhar’s conclusion and wrote a paper in which he showed that “stars cannot shrink to zero size”, while the British astronomer, Sir Arthur Eddington, supported Einstein’s position. In considering the explosion of stars having masses above the Chandrasekhar limit, Hawking wrote (page 84) “…it was difficult to believe that this always happened, no matter how big the star.” To my way of thinking, if a collapsing large star ever explodes it is difficult to believe that this does not always happen no matter how big the star. It appears Hawking came to believe in black holes only because he found the concept seductive. First, we are supposed to accept that stars release energy as a result of a consistent thermonuclear process in their cores. Next, we are supposed to accept that large stars explode sometimes, and don’t explode sometimes when their fuel runs out. Then, we are supposed to accept that those which don’t explode shrink to zero size but retain their mass. Common sense should count for something, even in cosmology. Every high school student is familiar with the principle behind a thermonuclear bomb. That it is more difficult to construct such a device than to understand the principle is something for which we can all be thankful. The principle is simplicity itself; squeeze enough of the right kind of matter with sufficient force and it will explode. In the case of a star, the force is supplied by gravity, with the mass of the collapsing star determining the force that is applied at its core. When the power source breaks down the star collapses. Gravity is reliable. Gravity never varies. Gravity is immutable. Collapsing large stars, however, sometimes explode and sometimes shrink to zero size. Why should they? No evidence suggests the laws governing nuclear physics are variable. Unstable isotopes decay, but they do so according to constant laws. Some results might not be predictable but this is due to a deficiency of knowledge rather than to an inconsistency in physical laws. If the mass of a star is sufficient for it to explode it must explode without fail when it collapses. Stars having similar mass should not explode into a supernova on some occasions and shrink to zero size on others. Supernovas have been observed while black holes have not. I have to conclude, therefore, that just as supernovas are real, black holes are not. 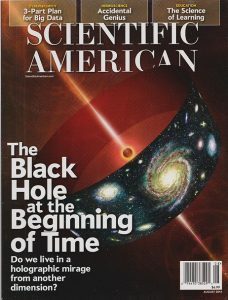 Black holes are dependent upon the same scientific revisionism that is required of all science fiction, and as Einstein and Eddington recognized, black holes are imaginary. Faith in the Big Bang led cosmologists to conclude that the massive body at the nucleus of a galaxy must be a black hole and that the surrounding stars and gas are destined to be consumed by it. Cosmologists maintain that a quasar (quasi-stellar radio source) contains a black hole because it is the only way they can explain the amount of energy these bodies emit. Every galaxy should have a quasar at its nucleus. Little is known about quasars because they tend to be shielded by a myriad of stars and clouds of gas, but it is known that they are very dense and very energetic and are variable sources of radio waves. Quasars, I believe, are the fundamental engines of our Universe, and it is their role to convert energy into matter. Quasars produce matter which forms galaxies, and without them, there would be only energy and space. Quasars do not occur only at the cores of galaxies. Many occur in groups, apparently in the vicinity of galaxies, and often along lines that imply an ejection process from the galaxy, as proposed by the American astronomer Halton Arp (1927-2013). Current orthodoxy continues to maintain that wherever the redshift of the quasars exceeds that of the galaxy, the quasars must be further away. Evidence continues to accumulate, however, that quasars are ejected from galaxies and go on to grow into new galaxies by converting the energy they collect from their surroundings, into matter. Their energy has been interpreted as indicating distance which, it is claimed, is proven by their redshift. One objection to the Steady-State Theory is based upon the amount of helium present in the Universe. That determination, however, included data obtained from studying the spectra of a large number of stars. When it becomes accepted that a proton-proton reaction takes place only in the coronas of stars and not in their cores, so that the spectra of stars are not directly related to their composition, this objection may be reconsidered. The Steady-State Theory could have met with resistance because it failed to provide the excitement of the Big Bang while lacking the entertainment value of black holes. The prospect of traveling backward in time promised the ultimate journey; past generations had to be content with searching for the Fountain of Youth. Reality makes its own demands, however, and quasars and the Steady-State Theory provide the most plausible explanation of our beginning. Cosmologists believe that immediately following the Big Bang, invisible threads that they call ‘cosmic strings’ were created. These were to provide the gravitational attraction responsible for the formation of galaxies. Remember, gravity is the only long-range force that scientists recognize. If you can visualize a vacuum that has been damaged by undergoing phase transitions then you shouldn’t have any difficulty visualizing cosmic strings. That could be a good thing because scientists have predicted that cosmic strings “are going to be difficult to detect”. Cosmic strings are said to be one of three types of defects that afflict a damaged vacuum. Called ‘walls’, ‘strings’ and ‘monopoles’, they possess 2, 1 and 0 dimensions respectively. It’s hard to say why strings were chosen to represent the group but it doesn’t matter much. According to one published source, cosmic strings have a thickness of 10-30 centimeters, and each centimeter weighs 4 million billion tons. They travel at almost the speed of light and have no ends although they may form loops. The loops wiggle violently, but only for about 10,000 times, regardless of their size. Large loops live longer than small loops because of their longer periods of oscillation. I have recounted how scientists seeking to confirm the Big Bang discarded a variation in wavelength of the cosmic background radiation because it wasn’t what they had been looking for. The anisotropy was treated as a Doppler effect, but this introduced mystifying movements to the Local Group of galaxies. The Local Group now seemed to be moving rapidly toward a point in the constellation Virgo and this, naturally, was attributed to gravity. Scientists speak reverently of the ‘Great Attractor’ although nothing unusual can be seen in that direction. Since it is invisible to us, speculation suggests that the Great Attractor is a cosmic string. 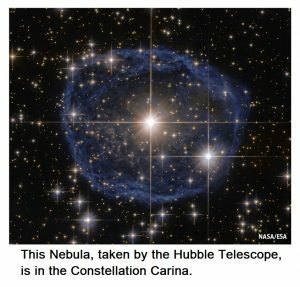 It has been claimed that cosmic strings can deflect light, resulting in double images of distant stars. As a result, every pair of similar stars or galaxies is now seen as the potential double image of a gravity lens formed by a cosmic string. The excitement continued with the incorporation of superconductivity. It has been proposed that charged particles which have mass outside the string may have no mass when they are inside it. As a result, they would be unable to get out of the string and would travel along it forever at the speed of light, as an electric current. This was followed by radiation pressure, blowing bubbles which result in galaxies. We are forewarned by cosmologists that a cosmic string could travel through our Solar System “at any time”, annihilating it. Gratefully, we learn that the probability of this happening is slight. It may have been written in the stars that Strings would be followed by Superstrings. This theory deals, in a refreshingly original way, with additional dimensions. The three dimensions that are conventionally used to describe orientation in space, plus the fourth dimension of time, were deemed to be no longer sufficient, so several more were added. As with that missing dark matter, however, the extra dimensions haven’t yet been recognized. One area of study that is intimately associated with the Big Bang hypothesis is Particle Physics. It is generally understood as being the study of the constituents of atoms and radiation within the Standard Model. The topic has increasingly been involved with speculations about the Big Bang, and this has increased following completion of the multi-billion dollar Large Hadron Collider. String Theory and Dark Matter, as well as experiments designed to model the Big Bang itself, indicate the direction Particle Physics is presently taking. A large part of the time on the Large Hadron Collider is dedicated to modeling the Big Bang. This is so that physicists can understand what took place in the fractions of a second immediately following that event. Some of them imagine that it will lead them to the ‘Holy Grail’ of science, which is the ‘Grand Unified Theory’, or the ‘Theory of Everything’. It isn’t all bad news, however. Electrons have been determined to transmute into protons at sufficiently high levels of energy, at a ratio of 1,836 electrons to one proton. This, I posit, is what takes place in the Photosphere of our Sun and within every star (not that the particle physicists are likely to recognize this anytime soon). Once they have run out of experiments that can be performed on the Large Hadron Collider you can be sure they will be agitating to have an even larger one built. The unrecognized reason has less to do with providing answers to questions than to be able to ask bigger questions. Practitioners of particle physics claim to be unlocking the secrets of matter but increasingly, they pursue their experiments for a fundamental reason: This is what they do. Their futile quest for the ‘Grand Unified Theory’ results in particles such as axions being imagined which, the theory posits, constitute dark matter. This attempts to explain the cohesiveness of galaxies by replacing the electromagnetic force with the gravitational force. The only difficulty this causes is that up to 99% of all matter that makes up the Universe must be invisible. Hmmm…all this is represented to the public, which is paying the bills, as ‘cutting-edge science’. Cosmology is based upon a remarkably small number of topics, and without those provided here, the science would not exist. I have considered each of them and disagreed with the theory in every case. The Red Shift of Galaxies and Quasars is regarded wholly as a Doppler Effect; Dark Matter and Dark Energy are absurd solutions to a non-problem; explanation of Cosmic Rays began with a misunderstanding of the origin of certain elements; Cosmic Background Radiation denotes the misinterpretation of a particular observation; Black Holes exemplify vivid imagination outside of any sense of reality; and the Big Bang is a fable of creation. I would compare this fable to another, from the Aboriginal culture of Australia, about how the crow got its black plumage. Back in the Dreamtime, the Creator was sitting before a fire, fashioning out of clay the birds and animals that were to inhabit Earth. The Creator formed a crow and dropped it into the fire so that its feathers were entirely singed. That is why the crow has black plumage. The Creator then formed another bird, the currajong, and dropped it at the edge of the fire. This bird’s feathers were only partly singed so that the currajong’s plumage is a mixture of black and white. Leaders in science, religion, and politics provide explanations they hope their followers will accept. Should an explanation be rejected, another will be offered in its place. Modern science has more in common with earlier cultures than its leaders are prone to admit, and widely held beliefs about the origin of the Universe and our Solar System share their essential character with the Aboriginal account of why the crow is black. 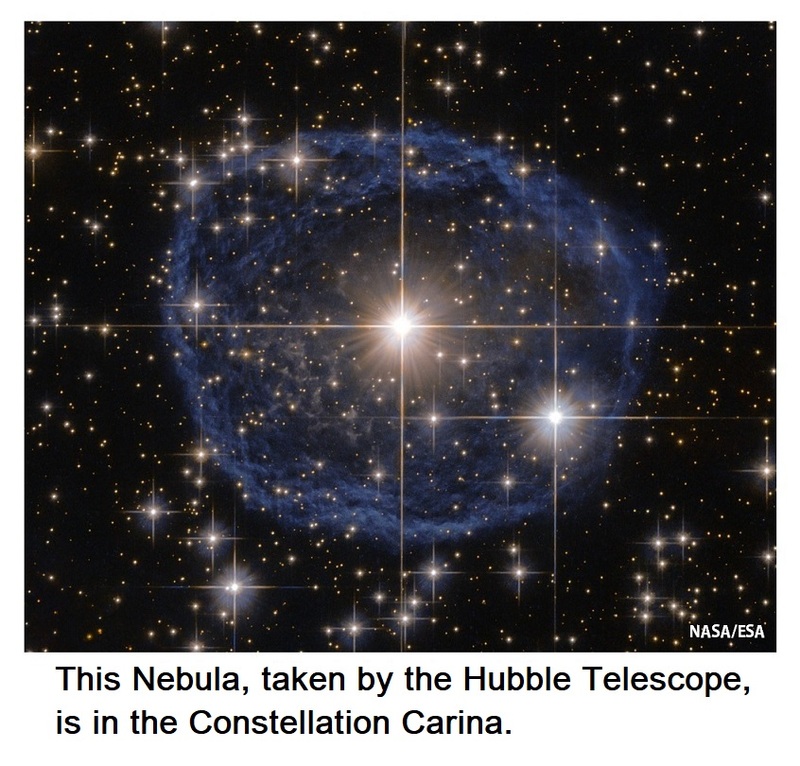 Cosmology has attracted huge public interest and Nobel Prizes have been awarded in the field. (At least one was awarded for the development of equipment, but most were given for unsubstantiated imagination.) Most people are not sufficiently well versed in this sort of thing to bring critical thought processes to bear. When science writers report on discoveries made by PhDs from prestigious research institutes, using equipment and facilities costing hundreds of millions of dollars, carried in respected journals, as well as having the approval and support of governments, most people will believe them. 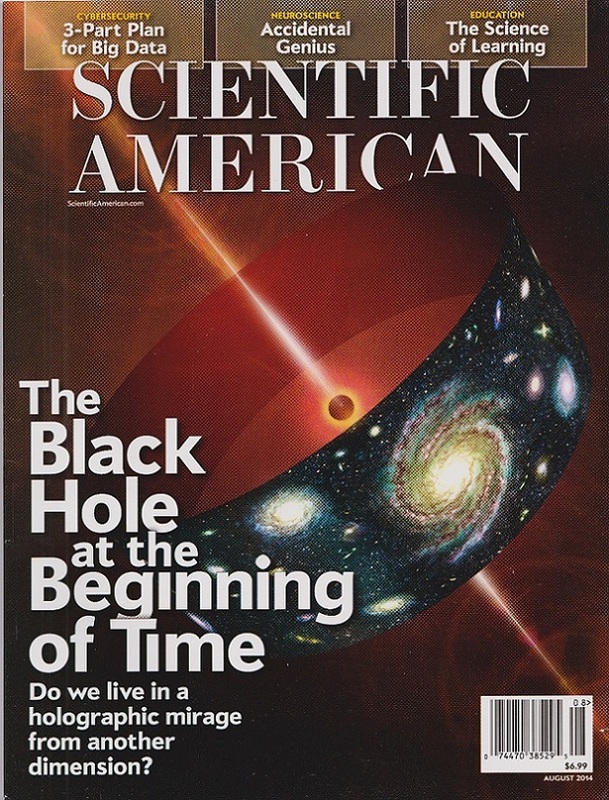 ‘Scientific American’ prides itself on being America’s longest continuously published scientific journal, and has brought some excellent articles to the public for well over a century and a half. A major miscalculation, however, has been to accept cosmology as a real science, instead of recognizing is as modern mythology. If it sounds like exciting science fiction, which is what it is, people will still accept it. Whether it involves the Big Bang or black holes where space travelers may journey into the past, or multiple Universes where nothing is as it seems, much of the general public will accept it all. In a recent book, ‘Brilliant Blunders’ by Mario Livio, astrophysicist Fred Hoyle is denounced for dismissing the idea of the Big Bang. But it was Fred Hoyle who was right, and to call him “…an increasingly embarrassing crank.” (Carl Zimmer in ‘The Times’ ) is shameful. Similarly, Einstein is rebuked for seeing his cosmological constant as an error. Einstein had been misled by the interpretation of Hubble’s work on the red-shift of galaxies. Livio’s book ‘Brilliant Blunders’ includes so many blunders of its own, including an expanding Universe, and nuclear fusion powering the stars, that it cannot be accepted as an authority on astronomy, or cosmology, or most likely on very much else. Its weakness throughout is that it parrots current orthodoxy, and there is no shortage of books that do that. In my Steady-State Theory new matter is created from energy by quasars, stars, and other processes, while space is not expanding. When cosmic background radiation was discovered in 1963 it was accepted as evidence against the Steady-State Theory because the radiation was accepted as a vestige of the Big Bang. This interpretation was flawed, however, and the Big Bang must be taken as an article of faith, as for any cultist claim. Quasars are the fundamental engines of our Universe for it is their role to convert energy into matter, which is the same process taking place in our Sun and in every star. Charges of electromagnetic energy may course endlessly through space, and from time to time one energy field encounters another. Occasionally, a certain energy threshold is reached, sufficient for the field to maintain itself, drawing upon the energy of its environment to provide the start of a new galaxy. While this might strike some as less than convincing, it is supported by the concept of the electric star, which requires a certain level of electromagnetic energy to maintain its function. The Steady-State Theory proposed by Gold, Hoyle, and Bondi failed because they tried to accommodate an expanding Universe, and there is no proof of that. Today, cosmologists like to quote Hubble’s Law, which states that the recession velocities of galaxies are directly proportional to their distance from us. Something that has been overlooked, however, is that Edwin Hubble himself cautioned against this. Writing in ‘The Electric Sky’, Donald E. Scott recounts how when astronomer Halton Arp (1927-2013) confronted the astronomical community with observations that contradict the Big Bang Theory he was denied access to any major telescope in the U.S. Later, he encountered difficulty in even getting published in American journals. Eric J. Lerner in his book ‘The Big Bang Never Happened’ offers a perceptive rejection of the Big Bang. Fred Hoyle, who was the one to actually coin the term ‘The Big Bang’ (in a disparaging context), has come to be viewed as an embarrassment by many who should be ashamed of themselves. Cosmology represents a significant tax on our society. High intelligence and mathematical ability are absolute requirements for practitioners in this field, resulting in some of our brightest young people being seduced into a fantasyland providing minimal opportunity for making any contribution to humanity beyond entertainment. If the talents of these gifted people could be employed limiting the world’s human population, recycling garbage instead of producing more of it, and preventing pollution of the oceans and the tragic disappearance of species, taxpayers could be getting a positive return on the tax money that presently goes toward supporting their parasitic existence. As Big Science becomes less and less real, and increasingly a type of entertainment, cosmology is the engine that is taking it to Fantasyland. Those working in the field claim that this is the golden age of cosmology. But cosmology is being developed at a frenetic pace by specialists who are out of contact with reality. Yesterday’s theories are replaced by today’s and none regrets their passing in the excitement of developing a science that is all their own.